Eschatology | J.W. Wartick -"Always Have a Reason"
Oren Martin’s Bound for the Promised Land is a canonical-perspective look at the land promise throughout the Bible. His central thesis is that “the land promised to Abraham advances the place of the kingdom that was lost in Eden and serves as a type throughout Israel’s history that anticipates the even greater land… that will… find… fulfillment in the new heaven and new earth won by Christ” (17). The book advances a broad argument for this thesis by surveying what the Bible has to say about the land promise and its fulfillment. Martin does not offer a comprehensive look at every verse in the Bible that deals with the land promise, but rather puts forward a canonical view in which he surveys what various books of the Bible say about the promise and puts them in perspective alongside each other. He thus develops the promise from Eden in Genesis through Abraham, into Canaan, exile, through prophetic hope of return, the ushering in through Christ, and the ultimate consummation in the New Creation. The book isn’t going to blow readers away with stunning insights. Frankly, that can be a good thing when it comes to theology texts. Martin’s exegesis is sound, based on firm principles and clearly drawn from the texts themselves. By connecting these verses to wider canonical strands, he demonstrates that his position is capable of dealing with the whole teaching of the Bible on the land promise rather than isolating it and trying to trump these threads with individual out-of-context verses. 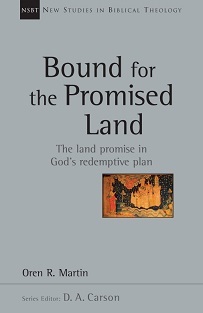 Though not stunning or necessarily new, the insights Martin puts forward provide a great resource for those interested in eschatology and the issues raised by dispensationalists regarding the land promise. Martin does not support the dispensational view and argues cogently that it cannot be supported by the texts that teach on the land promise. The notion that we must take the land promise “literally” does not do full justice to the texts themselves and cannot account for the broadness of teaching on the topic. Bound for the Promised Land is an insightful work that will lead to much flipping back and forth in readers’ Bibles as they go through it. I enjoyed making some new notes and re-highlighting some key points. Martin’s exegesis is solid, and the work is great for those interested in eschatology and biblical prophecy. By putting together a book focused exclusively on the land promise from a perspective that takes seriously the whole of biblical teaching on the topic, Martin has done a service for those interested in eschatology. I recommend it as a worthy read. Oren Martin, Bound for the Promised Land (Downers Grove, IL: Apollos/InterVarsity Press, 2015). Futurism is, essentially, the position that the prophecies in Daniel and Revelation (and many elsewhere) are largely yet to be fulfilled. This is in contrast to historicism– the view that these prophecies have been fulfilled through the church age (with some yet future); preterism– the view that many of these prophecies have already been fulfilled in the past; and idealism– the view that these prophecies have spiritual meanings which may be fulfilled multiple times through history until the End. Note the interesting parallels with the passage from Revelation 20. Both use the language of “chains” and reference a time when something will happen after this binding. Yet Jude 6 seems to imply the definite binding of these demonic forces from the time it was written or even before. Why? Jude 5 gives the temproal context, which is sandwiched in between discussion of the Exodus and Sodom and Gomorrah. Of course, Sodom and Gomorrah predate the Exodus, but the overall context of the passage is given by Jude as being around that time period (“I want to remind you…” v. 5). Again, in context Peter is discussing a number of past events. So it certainly seems that at least some demonic forces have already been bound. 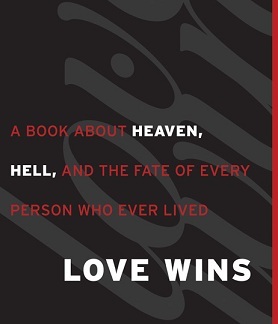 Benware writes of these passages: “The Scriptures reveal that Satan and his angelic followers will be judged for their sin and rebellion…” (329, emphasis mine). Now, Benware is clearly saying that there will be a judgment in the future, and that seems correct from both passages. However, he does not note anywhere in his major work the difficulty these verses present to his own view, for he insists elsewhere that amillenialists are incorrect when they view this binding as being a present reality (129ff). But he does grant that at least some demonic forces are bound now. The question, then, is how is it that futurists can consistently insist upon the impossibility of Revelation 20:1-3 being a present reality while already granting that it is, at least in part, fulfilled? That is, if one grants that at least some demonic forces are bound, it seems that one cannot insist that certain spiritual forces cannot possibly be bound at present. Thus, it seems to me this particular aspect of futurism is not on as strong a ground as many insist. Indeed, one may read Jude 6 and 2 Peter 2 and get the impression that these things have already occurred. 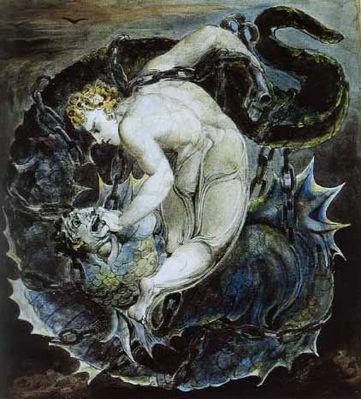 There is no stipulation within the text to say that only some wicked angels have been bound. Indeed, they both seem to imply the total binding of all demonic forces. But this would not be compatible with the standard futurist interpretation of Revelation 20:1-3. *Readers should note that I am not here intending to critique the overall futurist position. Instead, I am merely wondering about one specific aspect of some futurist interpretations. Check out my other posts on eschatology (scroll down for more). Also, read my review of Benware’s massive work on premillenial dispensationalism, Understanding End Times Prophecy. Paul Beware Understanding End Times Prophecy (Chicago: Moody, 2006). 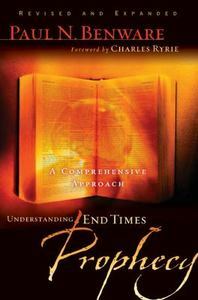 Understanding End Times Prophecy by Paul Benware certainly deserves its subtitle: “A Comprehensive Approach.” Benware presents a lengthy tome defending his position, dispensational premillenialism (more on that soon), while also outlining and critiquing many other views on various eschatological concepts. Yes, I just used the words dispensational premillenialism together in a sentence as though it made sense. It does. That is one of the many views Benware surveys in the book. Before reading Understanding End Times Prophecy (hereafter UEP), I admit I could not have distinguished a dispensational premillenialist from an amillenialist. Nor could I have identified a pre-wrath view in contrast with a post-wrath view. Benware’s book touches all of these and more, explaining the various positions out there on the various eschatological themes while also providing a thorough critique of those with which he disagrees. Benware starts by outlining some principles for interpreting Biblical prophecy. Primary among these is the notion that prophetic passages must be interpreted literally. Benware explains: “Literal interpretation assumes that… [God] based His revelatory communication on the normal rules of human communication. Literal interpretation understands that in normal communication and in the Scriptures figures of speech are valuable as communication devices…” and it is therefore “not… a rigid ‘letterism’ or ‘mechanical understanding of the language’ that ignores symbols and figures” (23-24). UEP then outlines a broad understanding of Biblical covenants, noting that the covenant God made with Abraham was unconditional, and so must be fulfilled.Next, Benware turns to a number of passages which outline the Palestinian, Davidic, and New Covenants. These he discusses in the context of promises God makes to Israel which must be fulfilled. The next major section outlines the major views on the millennium. Benware favors the dispensational premillenial view and so spends some time outlining it.The dispensational view focuses on the covenants found throughout the Bible. It holds that there are different “economies” of God’s working. These dispensations are not time periods, nor are they different ways of salvation. Instead, they are specific truths about how God chooses to work with His people (86ff). This view also holds that God will fulfill promises through Israel as a literal nation in the place that God promised them (88ff). The premillenial view holds that Christ returns before the millennial kingdom. It holds that the millennium is a literal thousand-year reign of Jesus on earth. Thus, there are two resurrections: first, before the millennial kingdom; second, after the millennial kingdom. Israel factors prominently into this view; Israel will be part of the thousand year reign and will occupy the land that God promised unconditionally to Abraham (94ff). Benware argues against the notion that Israel has become displaced or fulfilled in the church (103-120). Then Benware turns to the view of amillenialism. Essentially, this view holds that the “millennium” is non-literal and is being fulfilled now during the church age. There is one resurrection, and the judgment comes immediately upon Christ’s return. Thus, the current period is the millennial kingdom (121-137). Postmillenialism is the subject next discussed in UEP. This view tends to be tied into the notion that we are now living in the kingdom of God and so will usher in a golden age through social justice or action. After this undefined point, Christ will return to judge (139ff). Benware is highly critical of this view, noting that it relies upon the notion that we will continue improving the world (yet the world seems to be falling farther rather than progressing); as well as its rejection of the notion of a literal reign of Israel (150ff). Finally, Benware evaluates preterism. Essentially, this view holds that the events prophesied in Revelation and elsewhere have either all or mostly been fulfilled already. There is much diversity within this perspective, but largely it is tied in with the notion that the destruction of the temple ushered in the end times (154ff). The next major area of evaluation in UEP is that of the rapture. Benware analyzes pre-tribulation; post-tribulation; and other rapture views. Pre-tribulation is the view that the rapture will happen before the tribulation period. Post-tribulation is the view that the rapture happens after the tribulation. These directly tie into how one views the coming of Christ and the millennial kingdom (207ff). Finally, UEP ends with outlines of the seventieth week of the book of Daniel, the Kingdom of God, death and the intermediate state, and the final eternal state. An enormous amount of exposition and discussion is tucked into these final chapters. For example, Benware includes a critique of annihilationism. I have here only touched on the surface of UEP. Benware is exceedingly thorough and has managed to write an amazing resource on the issues related to End Times Prophecy. As has been noted, UEP is a simply fantastic resource for those who want to look at the various views which are discussed in contemporary evangelicalism. Benware has also provided an extremely detailed exposition of the dispensational premillenialist position. If someone wants to critique that view, UEP will be a book which they must reference. It is that good and that comprehensive. Furthermore, Benware provides a number of excellent insights through the use of charts. Throughout UEP, there are charts scattered which summarize the content of what Benware argues, show pictorially what various views teach, and more. These charts will become handy for readers to reference later when they want to discuss the issues Benware raises. They also help interested readers learn what various views and positions teach. Benware rightly shatters false notions that Biblical prophecy is some kind of indiscernible mystery language which humans weren’t meant to think on. His care for making clear what the Bible teaches on a number of issues is noteworthy. Now, where in this section does it say the Antichrist will be assassinated? Where in this section does it talk about the Antichrist dying and being raised to life? Strangely, Benware seems to reject the literal hermeneutic he advocates, and begins to interpret texts in ways that bend them to the breaking point. The issue of these proof texts opens a broader critique of UEP. Benware constantly insists upon a literal reading of Revelation and other prophetic texts, while also criticizing those who hold other views of using an inconsistent hermeneutic. Yet, as I believe I demonstrated above, Benware often goes well beyond the literal meaning of the texts and comes to conclusions which stretch them past literal readings. In fact, it seems that Benware balances an often literalistic reading of the text with a non-literal reading. Thus, Benware seems to fall victim to the very error he accuses all other positions of falling into. An overall critique of the position Benware holds would take far too much space and time for this reader to dedicate in this review, but I would note that the conclusions Benware comes to are often the result of the combination of literalistic readings and/or taking texts beyond what they say that I noted above. Some of the worrisome issues include the notion that the sacrificial system will be reinstated (334ff); a view in which the notion that the church seems in no way fulfill the Biblical prophecies about Israel (103ff); hyper-anthropomorphism of spiritual beings (i.e. demons, which are spiritual beings, being physically restricted ); and the insistence on literalizing all numbers in the Bible (168), among issues. It’s not that Benware doesn’t argue for these points; instead, it was that it seems his method to get his conclusions was sometimes faulty, and the case not infrequently was overstated. One minor issue is Benware’s use of citations. It’s not that he fails to cite sources; rather, the difficulty is that he inconsistently tells the reader where the source is from. Very often Benware block quotes another text (with proper end note citation) without letting the reader know who or what he is quoting. Although this may be better for readers only interested in the argument, it can be very frustrating for those interested in knowing where Benware is getting his information to have to flip to the back of the book all the time to trace down sources. The problem is compounded by the fact that sometimes he does tell the reader where the quote is from (for example, he’ll write “so-and-so argues [quote]”) while at other times he just dives directly into the quote. The inconsistent application here may be a minor problem, but it did cause major frustration through my reading of the text. Understanding End Times Prophecy is worthy reading. It provides an extremely in-depth look at the dispensational premillenial position. More importantly, Benware gives readers an overview of every major position on the millenium, the rapture, and the tribulation. The book therefore provides both an excellent starting point for readers interested in exploring eschatological views while also giving readers interested in the specific position of dispensational premillenialism a comprehensive look at that view. It comes recommended, with the caveat of the noted difficulties above. It would be hard to have a better introduction to the issues of Biblical prophecy from a premillennialist perspective than this one. The question remains, however, whether that view is correct. So far as this reader is concerned, that question remains unsettled. Disclaimer: I was provided a review copy of this book by the publisher My thanks to Moody Books for the opportunity to review the book..
All will be made New: Mayans, end times, and eschatology, oh my! Is it the end? People are rushing to stores stocking up on bottled water and the necessities, preparing for the latest “end” which our world will endure. We’ve endured a few just this year. Some are now saying that the Mayan Calendar counts down to December 21, 2012 and that this was their prediction of the end of the world. The Mayans were extremely accurate in their calendar, so some people are thinking maybe they knew something we do not. People often talk about the Mayan Calendar without placing it in its cultural context. The Ancient Maya were a very advanced people. It is easy to think that the people who inhabited ancient South America were a bunch of paganistic simpletons who knew little of the goings on in the world until a boat of enlightened Europeans showed up and taught them better. Such a view is, of course, extremely Eurocentric, and I would suggest it is also betrays a certain lack of knowledge over what it means to be an advanced civilization. The Maya certainly fill that role well, albeit with different types of advancement. One could argue that the differences in advancements was due, in part, to the radically different worldviews operating in independent spheres of influence. The values of European cultures were shaped by the Christian worldview, and so their concepts of what was important were very divergent from that of the polytheistic Maya. Indeed, this could account for a number of the extreme differences in practical areas, such as the differences in military technology, and of course in the development of religious doctrine. The Maya were not, as some have argued in the past, necessarily a bunch of noble people. Their artwork portraying their religious ceremonies and conquests makes this explicit, with all kinds of atrocities being glorified through their art. An extended comparison of the development of Western and pre-Columbian societies would be fascinating but it is beyond the realm of my discussion here. My point is that the ancient Maya were a very different people and culture from our own. Why emphasize this point? Well, for one, because the interpretations which have been given to the Mayan Calendar have largely been using a western view of meaning for calendars, dates, and events to interpret a distinctly non-western culture’s apparatus for interacting with reality. The Mayan Calendar is not some construct in a void to be interpreted by various persons from whatever presuppositional strata in which they operate. No, it must be placed within its cultural context in order to even begin to understand what it means that the calendar should have an end. Robert Sharer and Loa Traxler discuss the Mayan Calendar extensively in their monumental work, The Ancient Maya . Their work has just a phenomenal outline of how the calendar worked, but to outline it all would take a lot of room. Here, we’ll focus on two things: The Long Count in the Mayan Calendar and its interpretative framework. The Mayan calendar, on the other hand, uses the end of the last “great cycle” as their starting point for the calendar. They measure something called “The Long Count” which is an extended way to determine a great cycle of 13 “bak’tuns” which are each periods of about 5,128 solar years (110). The previous long count had ended in 3114 BC, and that was the date the Mayans held “established the time of the creation of the current world” (110). And yes, the current “Long Count” will be ending December 21, 2012. What does this mean? The calendar was not just used for chronology, but rather served more uses, such as divination. Sharer and Traxler note that the calendar was “a source of great power” in the Maya society (102). The Long Count “functioned as an absolute chronology by tracking the number of days elapsed from a zero date to reach a given day recorded by these lesser cycles” (104). Thus, the Long Count served to place the entire calendar cycle into a context: it established a measurable starting point and ending point for their calendar, which was itself extremely accurate due to its use of various astronomical measurements. The Mayan Calendar shares one distinctive with that of the other Mesoamerican societies, namely, the use of a 52 year cycle. This cycle was celebrated as the end of the world by the Aztecs. The close of one of these 52 year periods literally meant that “the world would come to an end” (107). Yet this end of the world, which happened every 52 years, was not something feared, but rather celebrated due to the dawn of a new Sacred Fire, “the gods had given the world another 52-year lease on life” (107). We thus have two possible ways to interpret the end of the Mayan Calendar. First, we can see it as simply the terminus of 13 bak’tuns and the end of the unit of measurement of absolute time, which would simply inaugurate the beginning of another cycle of 13 bak’tuns. Second, we can extrapolate from the cultural context that perhaps each terminus of this cycle would be anticipated as the beginning of another “lease on life.” But this is of the utmost importance: neither interpretation suggests some kind of cataclysmic ending of the space-time universe. To call the Mayan Calendar a “prophecy” of endtimes is nothing more than sensationalism. What cause is there to fear this? Christians know that the end will come. However, this should not be surprising to anyone with knowledge of astronomy and physics. Indeed, our universe is ticking down to a cosmic heat death. Our universe itself will end. The energy will disperse, the stars will burn out, and all that will be left will be hulks of matter strewn about an ever-expanding galaxy. Or, perhaps there will be a “great crunch”–something I admit I am highly skeptical about–which will lead to an explosion of a new universe. But Christians have a unique perspective on the end of the world. …[C]oncerning that day and hour no one knows, not even the angels of heaven, nor the Son, but the Father only. Matthew 24:36a. First, no one will know when the end is come. The end is coming, but it will be like a thief in the night. Jesus tells us that it will be like in the days of Noah, where people continued to live their lives despite the impending doom. Second, the Christian expects God to be the one to usher in this end. The end will be a new creation. Tears will be wiped away (Revelation 21:4) and creation will be restored. Unfortunately, some Christians have taken this to mean the utter annihilation of all things in the spatio-temporal universe. These Christians will sometimes have a dismissive attitude over the stewardship of the earth. After all, they argue, this universe will be utterly destroyed and we will have a perfect one made for us. Why bother conserving resources? This attitude is simply wrong, and as I have noted elsewhere, we are called to care for creation, something which evangelicals who disagree on certain topics unanimously affirm. As Christians we are called to always be ready for Christ’s triumphant return. But that preparation does not mean being fearful of every end-time “prophecy.” Indeed, Jesus tells us that many will say the end has come but they are false prophets (Matthew 7:15; 24:4-5; 24:10-11; Luke 21:8; Mark 13:21-23). No, the preparation is the call to make disciples of all nations and to care for those in need. We will endure another “end of the world” on the 21st of this year. Let’s take the time to reflect on what our Lord tells us in His Word. We do not know how or when, but God knows. We do not know the day or the hour, but God knows. God will take care of us. Let us thank Him. December 22nd, 2012– A poignant comic which speaks to the reality of what will happen on December 22, 2012. Caring for Creation: A discussion among evangelicals– Creation care is an issue highly intertwined with eschatology. Here, I review an extremely thought-provoking panel discussion I attended at the Evangelical Theological Society conference in 2012. Climate change, endtimes, and Christianity and science are just a few related issues. Cormac McCarthy’s Secular Apocalypse– An insightful post which reflects on Cormac McCarthy’s “The Road” and contrasts its vision of the apocalypse with the Christian worldview. The End of it All…– I reflect on another failed end-time prophecy, this time from one who tried to use the Bible to make the prediction. Robert Sharer with Loa Traxler, The Ancient Maya (Stanford, CA: Stanford University Press, 2006). 2012 Doomsday Myths Debunked– National Geographic. There’s a lot of confusion about endtimes in our world. It isn’t helped by the fact that there are false prophets springing up all around us, trying to tell us that which is to come. The recent controversy over Harold Camping’s prediction that the world would end on May 21st has me thinking about the study of end times (eschatology). It’s an area I admit I haven’t studied much. The subject is confusing. There is a staggering array of views about what will happen in the end. 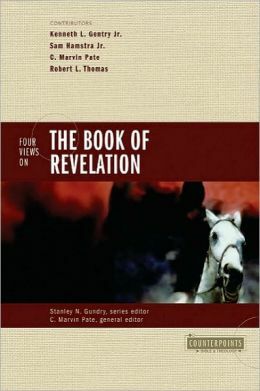 The book of Revelation, from which we draw much of our knowledge over what will happen in the end times, can be greatly confusing to both the uninitiated and the scholar. There are two major themes upon which I’d like to focus: knowledge of the end and our behavior at the end. Thinking about the apocalypse–the end of the world–is a tough issue. Like I said, there is a lot of diversity on the subject. As such, it is important for Christians to look to the Bible to see what we can know about the end. The key is to remember that must always go back to the Bible to see what it says about a subject before we believe what someone tells us it may say. We are warned by Jesus in Matthew that there will arise false prophets (Matthew 24:24). Harold Camping is one such false prophet. He has distorted the truth of Scripture to gain followers. Perhaps the most telling verse in the Bible which speaks against us being able to know when the end will come is Matthew 24:36, in which Jesus Himself says “But about that day or hour no one knows, not even the angels in heaven, nor the Son, but only the Father.” If that’s true, then how would any other human know? Not even Christ, in his state of humiliation, could tell us when the last day would come! The bottom line is that we can’t know and we won’t know when the last days have arrived–not until Jesus Himself is here. Suppose for a moment we are at the last days; what should our attitude be? The resounding chorus in Scripture is that we should be diligent and ready, but we should continue to spread God’s Kingdom. Looking back at the Matthew 24 passage, Jesus tells us, ““Therefore keep watch, because you do not know on what day your Lord will come… Who then is the faithful and wise servant, whom the master has put in charge of the servants in his household to give them their food at the proper time? It will be good for that servant whose master finds him doing so when he returns” (24:42, 45-46). So our attitude should be one of the watchful servant: ready for Christ to come, but not letting that distract us from the work He has given us. Rather than put up billboards and go around telling everyone the end is nigh, our task is to continue what should be our “business as usual”–spreading the Word, taking care of the needy, and living our lives as Christians. It is easy to get caught up in the “end times” controversies. I admit that often when I hear of such predictions, I am more diligent than usual in remembering to repent of my sins. But what does that tell me? It tells me that I need to be more diligent about that at all times. For we need to be ready when Christ does come. A life of readiness for Christ means a life of spreading the Good News about Him to all people. It means living a life of repentance and reconciliation to God. We may not know when the end will come, but it is coming–and we will experience it either in this life or the next. Check out this blog post by Austin which discusses the Camping controversy: here. News article discussing Camping’s befuddlement about his failure: here. 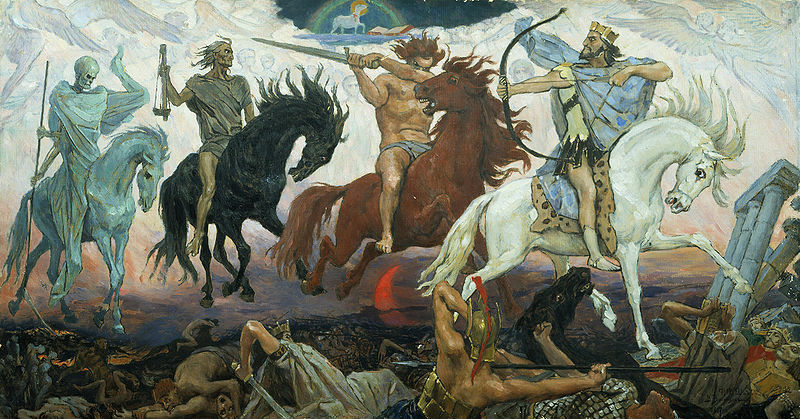 Image: “Four Horsemen of the Apocalypse” by Viktor Vasnetsov, 1887.